THE world’s top console no longer is no longer the XBox or Playstation. Years of being scorned for relatively weaker hardware didn’t daunt Nintendo, which continued to churn out cheery, bright units for (mostly) light-hearted and wacky games which took over parties like the other two couldn’t. This is the year of their triumph – the Switch has finally outsold the black boxes. But that’s not even the secret. 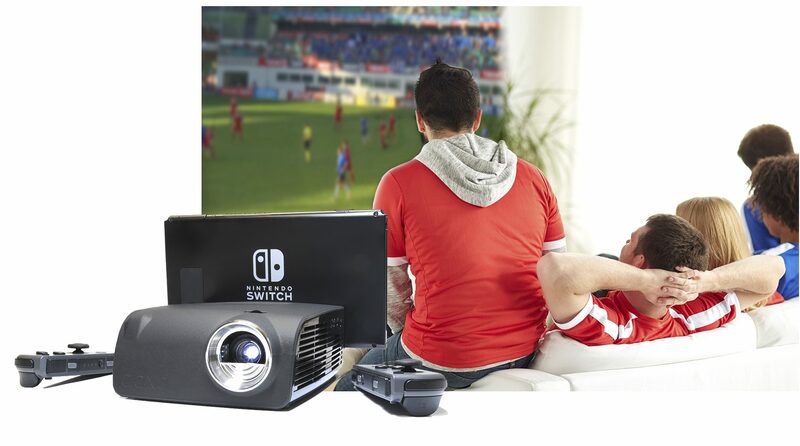 The big deal is that you can now enjoy gaming on the biggest screen with the AAXA S1 Mini Nintendo Switch Dock Projector. This plug-and-play device features a USB-C dock for Nintendo Switch. Onboard speakers and three hours of battery life sweeten the deal. Unlike the JoJo Indiegogo project that pledged to do the same – and ultimately debuted with buggy and non-responsive units – AAXA is a legit projector firm that’s made hundreds of high-end projectors, even selling proprietary tech to other projector companies. We personally own an AAXA nano-projector that’s working after 5 years since the pre-Netflix and chill days. Weighing in at a measly 580g with the battery, the projector’s a solid addition to your gaming – and entertainment – repertoire. If you’re looking for heavyweight projectors that can replace your television, we’ve done our research on those, too.